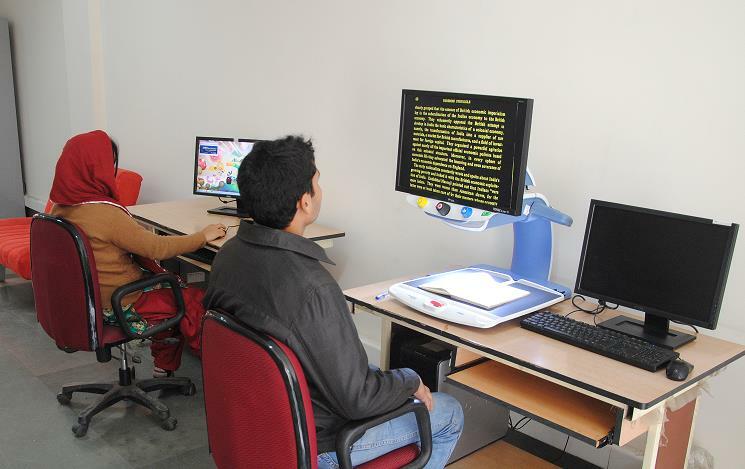 The Learning Centre for Differently Abled has facilities to provide access to learning resources for the visually impaired students through the use of assistive technology for the screen reading, screen magnification, and optical recognition. 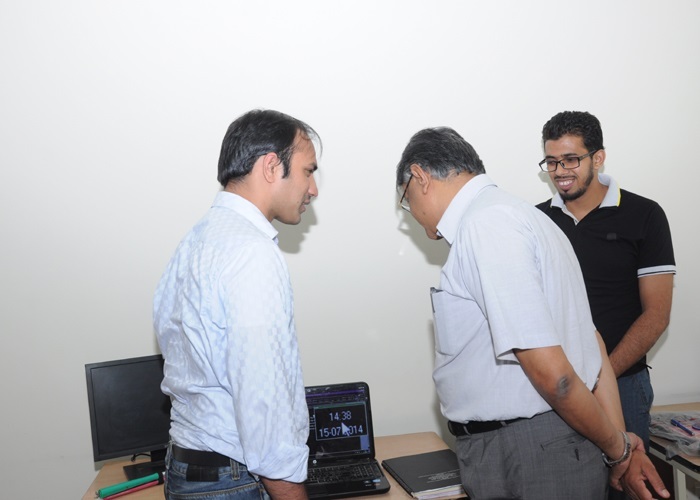 The Centre is equipped with requisite softwares and has developed a collection of about 1,500 e-resources for visually impaired students as per need. SAFA Reader: Reads computer screen. Vaachak: Reads the text aloud for listeners. Talking Typing Teacher Software: An interactive program for Windows that teaches keyboard skills. OpenBook Software: Scans to read the book or any other document available in print or online. JAWS Software: A program to read the screen and provides speech and Braille output of computer applications. MAGic® Pro Magnification Software: Screen magnification and reading solution to help people in small type size and illegible images on web. Infty Reader & Chatty Infty. Software: Recognizes scanned images of printed scientific documents including Math formulae. ReadEasy+: Reads any printed text including columns in a clear human sounding voice. RUBY: A handheld video magnifier to read text. ReadIt Wand: A portable autorecorder system that scans, stores and reads the text. The files can be import/export in PDF, Word, Rtf, MP3 etc. SARA: Scanning & reading appliance for -vision people. Digital Voice Recorder ICD-UX70: Records and allows to playback MP3 file format on a PC and other audio devices. TOPAZ Desktop Video Magnifier: Magnifies 77 times and displays clear image on 22” colour screen. Plextalk PTR2: Arecorder with the ability to create and play DAISY 2.02, audio books and music CDs. Plextalk PTN2 : Enables listening audio title, digital talking books, music CDs, MP3 or audio books on CD. The Eye-C handheld video magnifier: Allows to enlarge small print up to 17X and displays it on 4.3” wide colour LCD. Talking Scientific Calculator: Offers clear and high-quality voice to represent the pressed key.